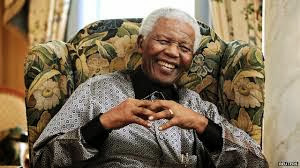 In a world too often looking to escapism for its heroes, Nelson Mandela provided one that proved one man can make politics work for a people, one man can make human nature work for mankind, and one man whose generosity of spirit and wisdom and leave an unmatchable challenge for people of the globe entire to follow. He was 95. From writer Neil Gaiman: Nelson Mandela did something remarkable, and left the world a better place for having been here. I'm glad I got to share a planet with him. From actor Samuel L. Jackson: Never met a better person in my life than Nelson Mandela. My sympathy to his family & his country. From writer Joe Kelly: RIP Nelson Mandela. In lieu of flowers, please perform acts of kindness, courage and dignity. From artist Francesco Francavilla: So long, Nelson Mandela, you were a good man. Thanks for all you have done. From writer Ron Marz: You're supposed to leave the world a better place than you found it. Nice job, Nelson Mandela. 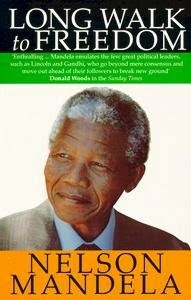 His book Long Walk To Freedom is the most amazing and influential piece of writing I have ever read. I hope in hearing of his passing, those who have not read it turn to its pages to find out more about his plight, and for those who have already shared its amazing tale, to find reassurance in a life that has freed many, in both mind and body. When I first read the book, I jotted down many quotes as I went. One that catches my eye today is “A good head and good heart are always a formidable combination. But when you add to that a literate tongue or pen, then you have something very special.” And indeed we did. RIP Nelson Mandela... My tribute to one of the great hero of the century who fight for noble peace and Apartheid. Thanks Neha for taking the time to comment, and welcome to IADW! He sure was one of the heavyweights of our generation and those still to come. A remarkable life indeed!